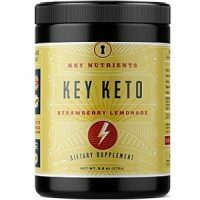 Today we will be conducting a review of Key Nutrients Key Keto to see if this product stands out from the rest. 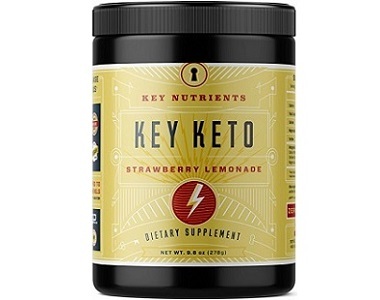 Key Keto is an exogenous ketone supplement that is designed to put your body into an instant state of ketosis without feeling side effects such as the “keto flu”. This lemonade strawberry flavored supplement is said to be free of any harmful additives or artificial flavors and is crafted for those who are looking to lose weight, increase energy levels while exercising and to improve mental clarity. This product should be used in combination with a strict keto diet and regular exercise. Calcium – an electrolyte which could be affected while on a keto diet so it’s important to have an additional intake of calcium. Magnesium – helps to improve energy levels and reduce muscle cramps while exercising. Sodium – lack of sodium on a keto diet can cause adverse side effects, it is important to supplement with additional sodium while on the diet. Calcium, Sodium and Magnesium Beta-Hydroxybutyrate – a mineral salt that is a natural metabolite known as a ketone body which helps fuel your body and mind while on a low carb diet. Other Ingredients include Citric Acid, natural flavors, Malic Acid, Stevia, Silicon Dioxide, and Beetroot. How Do You Use Key Keto? Key nutrients suggest that one scoop (13.9 g) should be mixed into a 14 oz glass of room temperature water. First-time users should start with half a scoop and increase the dosage to a full scoop over time. The daily allowance is between 1 to 3 scoops. The retail price for a container of 20 servings is $49.94 and can be purchased directly from the manufacturer online. Unfortunately, there are no discounts available for this product and considering that you only get 20 servings, this product may not be very cost-effective in the long run. The details around the guarantee are not specified however, Key Nutrients does offer a 60-day money back guarantee should you not be satisfied with the product. 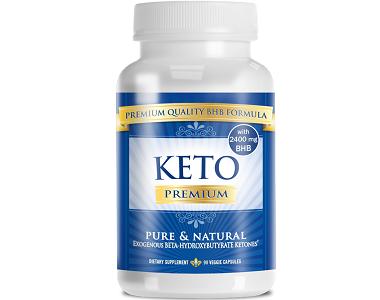 This product seems to be a good ketone supplement at first glance based on the fact that it contains Beta-Hydroxybutyrate and that the manufacturer offers a money back guarantee, however, it would be better if the manufacturer stipulated the condition in which the product must be returned in order to qualify for a refund. Another downside to this product is that while the manufacturer mentions there are no additives, Malic Acid, Stevia, Silicon Dioxide and Citric Acid are present in this formula which could hinder results. The product does not seem to be very cost effective at all since there are no discounts available should you wish to purchase in bulk. The general complaints from the public are that this product is expensive and does not have a great taste. When looking for a ketone product it is advisable to look for products that are affordable and do not have any additives which could affect the results.